Traveling has never been my hobby, but what makes it fun when traveling is having the right people around you, how comfortable your journey is, I mean when proper arrangements have been made which includes two way ticket purchase and accommodation. Odessa has been on my list for a long time, last summer I planned on visiting this beautiful city but my blog work was so much and this made me stay back. 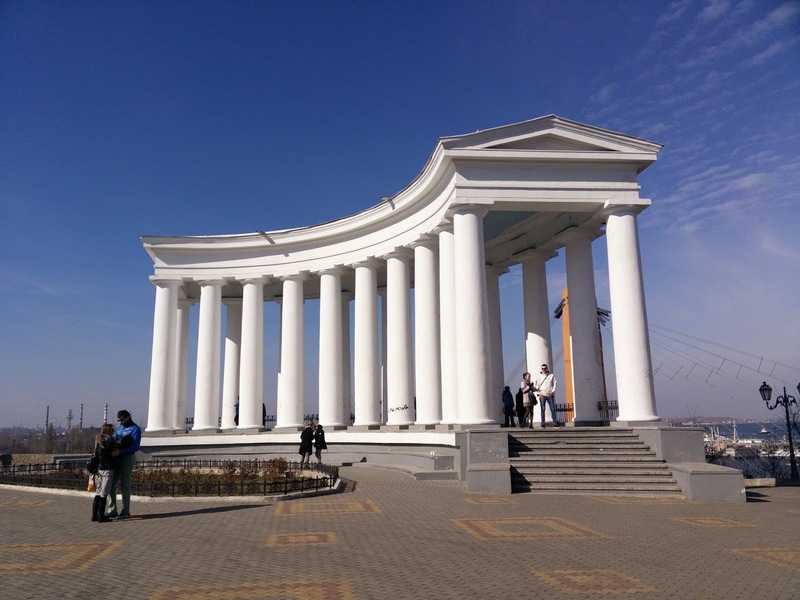 As you all know, I am based in Ukraine which has lots of historical and tourist attractions. I decided to stop being selfish and share with everyone who might not be able to visit Ukraine. Its been a very productive week for me, meeting new people and achieving some set goals. 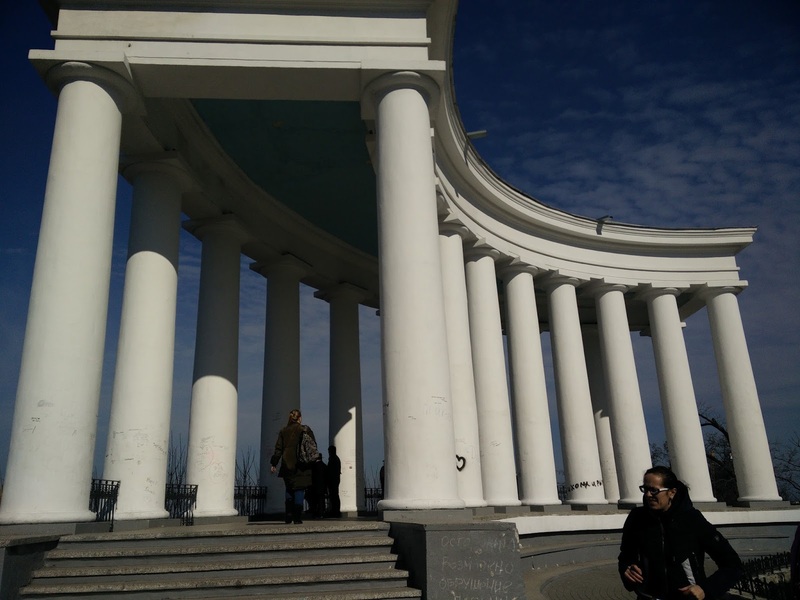 I had so much fun visiting the city of Odessa and here are some interesting places I think you should visit if you ever visit Odessa. Port of Odessa: Odessa is a port city on the Black Sea in southern Ukraine. 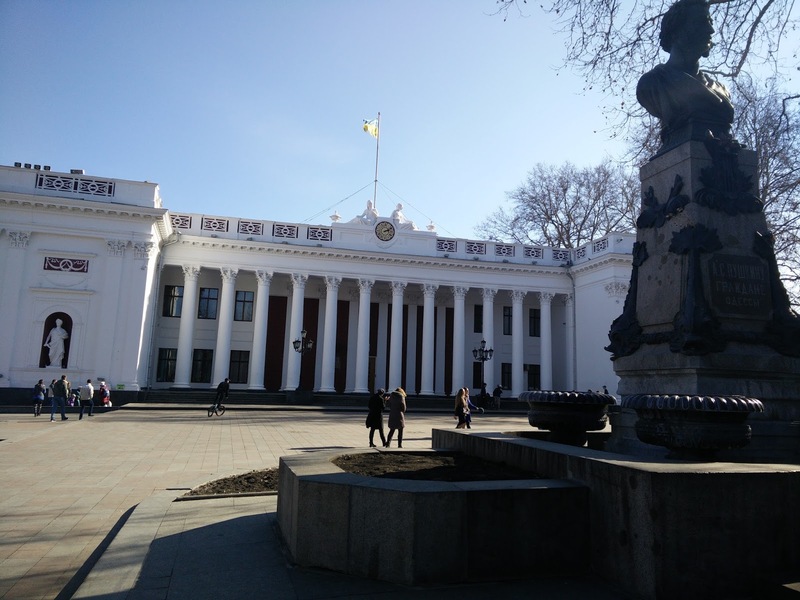 It’s known for its beaches and 19th-century architecture, including the Odessa Opera and Ballet Theater. The monumental Potemkin Stairs, immortalized in "The Battleship Potemkin," lead down to the waterfront with its Vorontsov Lighthouse. 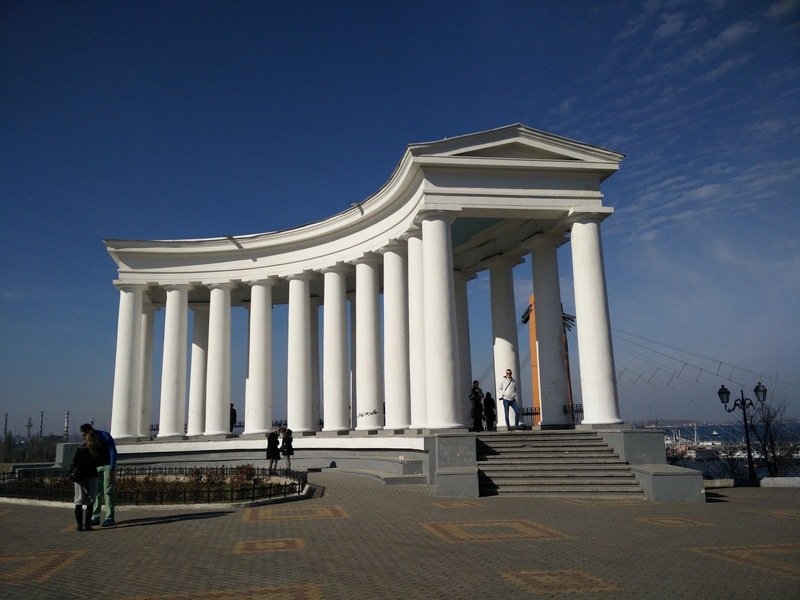 Running parallel to the water, the grand Primorsky Boulevard is a popular promenade lined with mansions and monuments. The Port of Odessa or Odessa Marine Trade Port (Ukrainian: Одеський морський торговельний порт, Odes'kyi morskyi torhovelnyi port) — located near Odessa — is the largest Ukrainian seaport and one of the largest ports in the Black Sea basin, with a total annual traffic capacity of 40 million tonnes (15 million tonnes dry bulk and 25 million tonnes liquid bulk). The port has an immediate access to railways allowing quick transfer of cargo from sea routes to ground transportation. 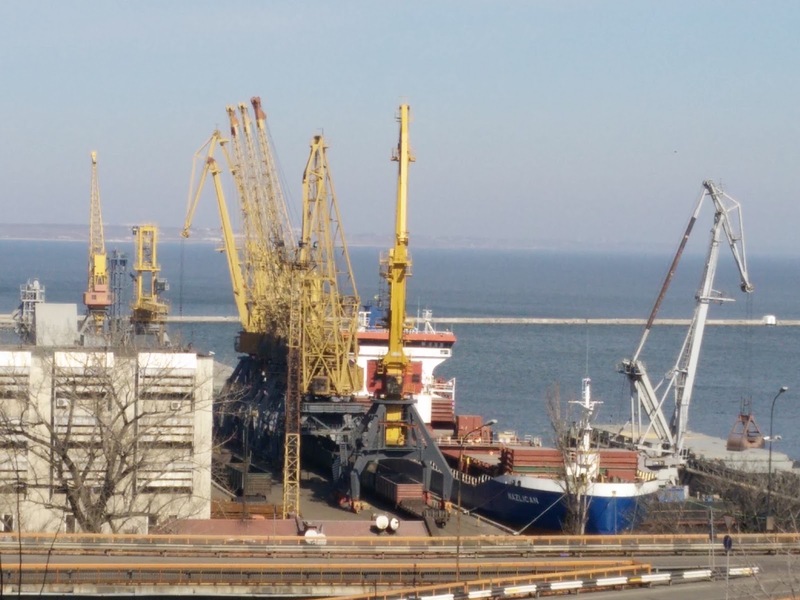 Along with its younger satellite ports of Chornomorsk (1958) and Yuzhne (1973), port of Odessa is a major freight and passenger transportation hub of Ukraine. The port is located at the western shores of the Odessa Bay. It consists of several harbors which are divided one from another by a number of jetties, while the port itself is screen off from the open sea by few long breakwaters located in the Odessa Bay. Just around the southern jetty (Karantyny) located a passenger terminal with a multi-story hotel at the Nova jetty. Towards the middle there is a Ship Maintenance Factory "Ukraina". At the northern portion are located grain and main oil terminals, while at the southern there is a smaller oil terminal amid container loading quays. Sailor's Wife Monument: Monument “To Sailor's Wife” September 2, 2002, in Odessa Sea Port. 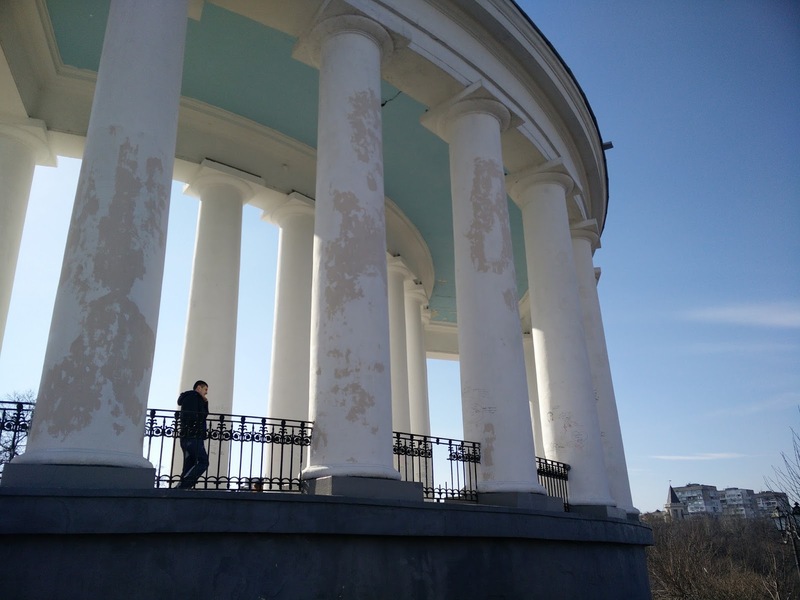 The monument depicts a woman standing on the balcony floor, holding a baby in her arms and gazing into the sea further, waiting for the arrival of the ship. The author of the modest monument was the famous Odessa sculptor Alexander Tokarev. Opera House: Opera and Ballet Theater is a brilliant masterpiece of architecture. Reaching for Deribasovskaya Street to the intersection with Richelieuskaya Street your eyes gaze at the stunning beauty of the magical palace, which is harmoniously standing next to Lanzheronovskaya Street. The first theater was opened in Odessa in 1809 on the initiative of the duc de Richelieu, it was completely burned. The new theater was built by the Viennese architects Fellner and Helmer. As the authors of many buildings of the theaters in Europe, they have created a facade in the Renaissance style with elements of lush Viennese Baroque. Church of St. Nicholas: Today the port of Odessa is the largest international port with the most modern and largest in Ukraine Sea Terminal. The port today operates large international cruise ships as tall as the building of the port. The Odessa Sea Port is a perfect combination of glass and metal. On the territory of the seaport buildings there is a yacht, a four star hotel "Odessa", the Church of St. Nicholas, concert and exhibition halls. Laokoon: The sculptural ensemble of Laokoon is located in front of the archeological museum. Laokoon is the Greek pagan priest. He didn't please the sea god Poseidon who sent snakes upon him and his sons... The famous painting "Laokoon" by El Greco is in the museum of Washington now, there's the sculpture of Laokoon in Vatican. Odessa sculpture is its copy. The Odessa Archaeological Museum is one of the oldest archaeological museums in Ukraine. It was founded in 1825; the current museum building was completed in 1883. Since 1997, the Odessa Archeological Museum has functioned not only as a museum but also as an institute for scientific research into the archeology of primitive society in the Northern Black Sea region and the archeology of the Middle Ages. The museum conducts expositions, restorations and publishing activities. The museums has a collection size of more than 160,000: archeological finds from the northern Black Sea region, the largest collection in Ukraine of Ancient Egyptian sarcophagi, stone slabs with hieroglyphics and fragments of papyrus, Ancient Greek and Ancient Roman exhibits. The museum is also famous for its collection of coins and medals. There are over 50,000 coins in the museum treasury from Ancient Greece, Ancient Rome, the Byzantine Empire, Ancient Kievan Rus and coins of the Russian Empire from the Romanovs' dynasty. A few years ago the Leventis Foundation of Cyprus funded the new Greek and Cypriote gallery at the museum; because of the large number of Greeks in Odessa in the 19th century, the museum has rich collections of material from both areas. City Hall of Odessa: Odessa City Hall is the city hall of Odessa, Ukraine, located at the junction of Primorskiy Boulevard, Chaikovskogo Lane and Pushkinska Street. It occupies a Neoclassical building, built to a design by Francesco Boffo and Gregorio Toricelli in 1828-34. The frontage features two large statues depicting Ceres and Mercury in their roles as the goddess of agriculture and the god of trade respectively, marking the buildings original purpose as an Exchange. Every half-hour, the clock above the entrance chimes the melody "Odessa my town" (the same tune greeting incoming trains at the Odessa Train Station). This is from the operetta White Acacia by the Soviet composer Isaac Dunayevsky. 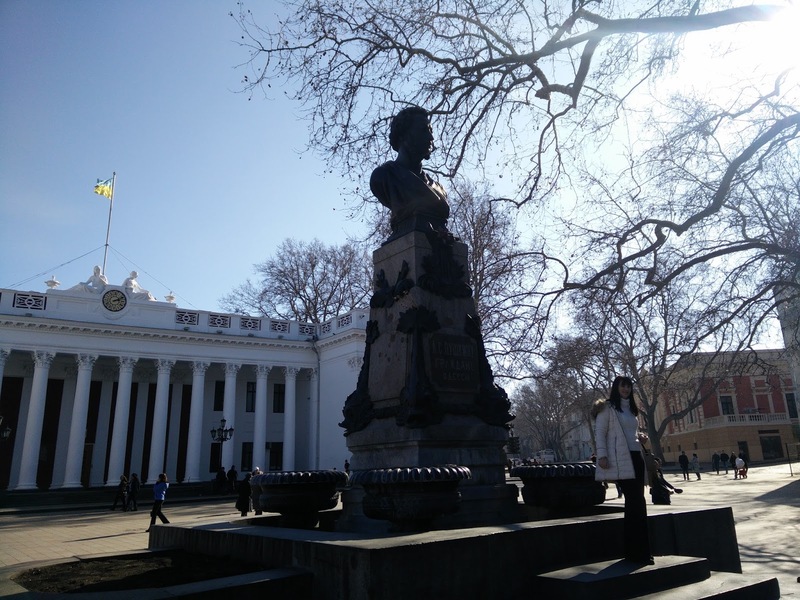 In front of the building is a small square called "Dumaskaya", containing a monument to Alexander Pushkin who spent 13 months in Odessa,and a naval gun recovered from the British frigate HMS Tiger, that grounded and was sunk near the town during the Crimean War. The Colonnade : The long and beautiful Mother-in-law Bridge will lead you to another of this wonderful city’s sights. 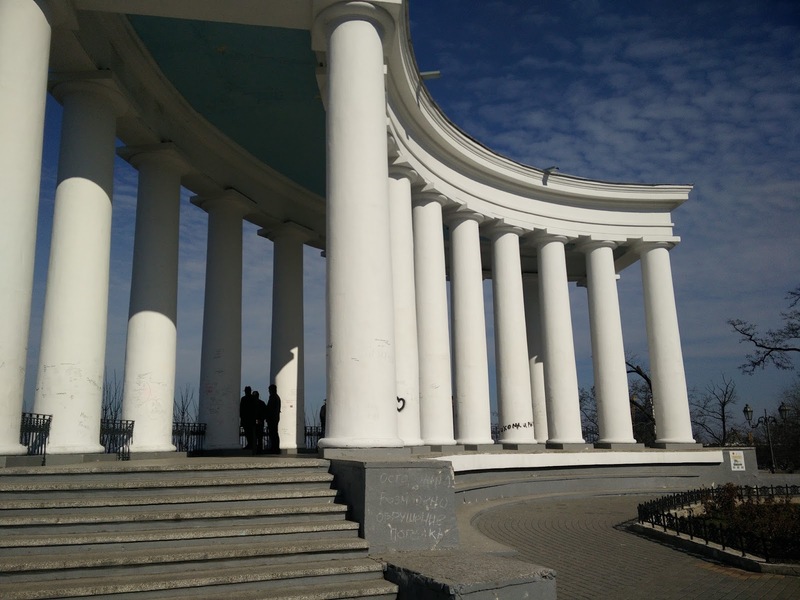 The Colonnade represents splendid belvedere, which was originally part of the residence of the Governor-General of the Novorossiya region M.S. Vorontsov. 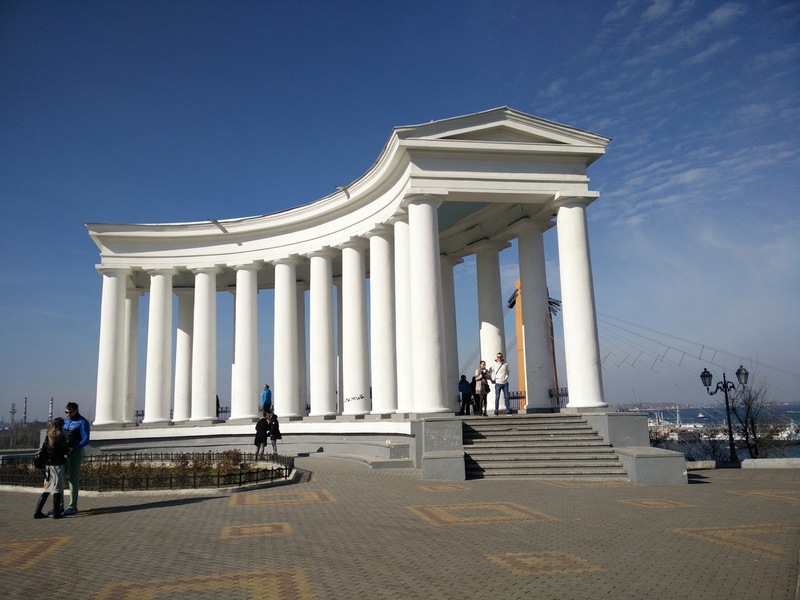 It was built between 1826 and 1828 and provides a wonderful view of the famous Odessa port. Ref: http://od.vgorode.ua/news/22/116845/. The Black sea: Touching the black sea has always been a goal, so much to know about it. It felt so good that finally I can say I didn't only visit but I touched the black sea. The Black Sea is a body of water between Eastern Europe and Western Asia, bounded by Bulgaria, Georgia, Romania, Russia, Turkey, and Ukraine. It is supplied by a number of major rivers, such as the Danube, Dnieper, Rioni, Southern Bug, and Dniester. The Black Sea has an area of 436,400 km2 (168,500 sq mi) (not including the Sea of Azov), a maximum depth of 2,212 m (7,257 ft),and a volume of 547,000 km3 (131,000 cu mi).It is constrained by the Pontic Mountains to the south and by the Caucasus Mountains to the east, and features a wide shelf to the northwest. The longest east-west extent is about 1,175 km (730 mi). Ref : Wiki. Arkadia beach Odessa: Arcadia is a popular beach, health resort, and summer nightspot in Odessa. Its nightclubs are open from May through September, and are Odessa's primary nightlife during that time. This was actually the 1st location we visited after arriving Odessa and having late breakfast. Food : Finally, I really love eating and spending quality time in bars and cool restaurants. So if you visit Odessa don't forget to eat the delicious native dishes.Thank you much for keeping in touch with me, Please share this post and I any Photos are used, Please refer back to www.melodyjacob.com.